Vidhu Vinod Chopra's 1942 A Love Story is one of his best works, and was showcased as part of the filmmaker's retropesctive at PVR theatre in Juhu, a western Mumbai suburb. 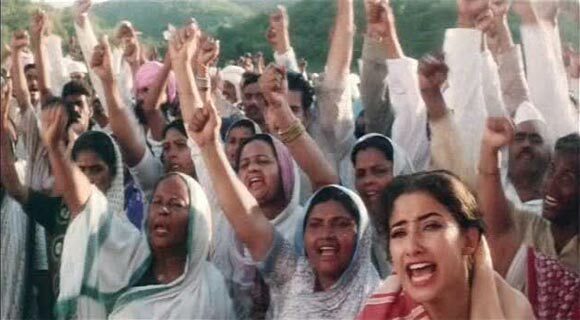 Starring Anil Kapoor, Jackie Shroff, Manisha Koirala, Anupam Kher and Pran among others, the 1994 film was set against India's freedom struggle. Chopra, and others members of the team, discussed the film and what made it such a beautiful watch. They also revealed interesting trivia during the making of the film. We take a look. We were tight for cash, so every time (art director) Nitin Desai tried to build houses on the set, I would tell him not to. Once when I told him to remove a certain house, Jackie Shroff stepped in and told me that this house was where his introduction scene will be shot. So I asked for it to be rebuilt. All the extra houses I rejected at first and then agreed to were paid for by Jackie Shroff. So, a part of the cost of the set was borne by him. When (music composer) R D Burman made us listen to the music of the film for the first time, I did not have money to give him. Jackie paid for that as well. Kamna Chandra, on writing the script of 1942 A Love Story. I had written Prem Rog and Chandni, both love stories, and Vinod Chopra made only dark films, but I decided to meet him anyway. So after I returned from America, I called him and he told me to meet him at Natraj Studios. Vinod told me that he only makes dark films. I said I have a love story and asked him to listen to it. I read him two or three ideas and he liked one and asked me to develop it. That night I didn't sleep. But in the next few days, I grew quite excited. I had grown up to the sound of Karo ya maro, I had seen the freedom struggle first hand, so that era came naturally to me. 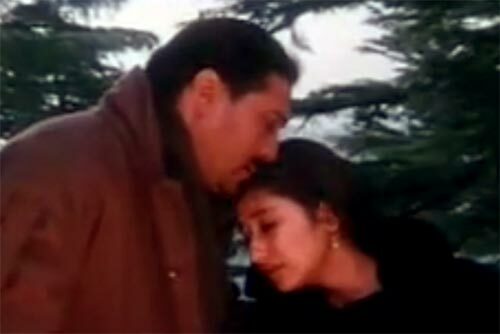 The first tune of Kuch Na Kaho was terrible. R D Burman was going through a lot of insecurity and he wanted to be popular again. Plus, (music label) HMV had told me that if we take RD Burman, they will not buy the music. Javed Akhtar had gone to his native place to write the lyrics so as to get the purity of the emotion, and he had written a brilliant song. R D insisted that I tell him immediately. I tried to tell him politely that it was not what I was looking for, and ended up telling him it was rubbish. R D Burman asked for a week. I told him to take a year but give me good music after that. Within a week, when I went for the next music sitting, he bowled me over with what he had created. People casually call anyone a genius but very few actually deserve to be called so. Punchama was one such man who deserved this title. People ask me what is the source of my inspiration. My source of inspiration is terror. When a deadline is close and people think that now I will not be able to deliver, that's when my mind starts working. When I heard the script of 1942, I said there should be a song when the boy sees the girl for the first time. There was no situation for a song in the script, but I insisted, so I was told to write the song myself. The day I was to submit the song, I had still not written it. I was really embarrassed as I had suggested it. On the way to the music studio, I kept on thinking about it and just as I arrived, I got a thought. RD asked me to write one stanza and read it, so I sat in a corner and created the first stanza. As soon as I wrote the lyrics, he created the tune in his mind. I wrote two more stanzas over the next five days. I had nightmares while shooting the climax of the film. I was banned by a group called FMC (Film Makers Combine) which existed then, and had to stay in the make-up room at Film City for 32 days because if I came out, I wouldn't be allowed to go back in. The FMC had decided that workers will not be given money during Diwali but we gave our workers a bonus. I was so upset that I couldn't follow my script in the climax. We had lots of difficulties in shooting this film. 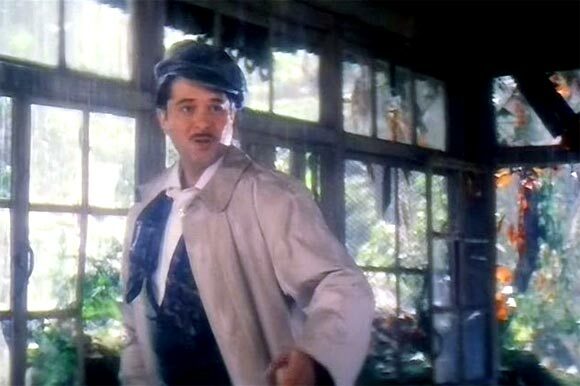 The main scenes of 1942 A Love Story -- like the border scenes and the Himachal Pradesh scenes and Rajjo's (Manisha Koirala) house in Dalhousie, Himachal Pradesh -- were shot in Mumbai. To take the entire cast and crew to Himachal Pradesh was too expensive so Vidhu Vinod Chopra and I decided to create the main set in Mumbai. Vinod Chopra is a perfectionist. To want Himachal to be created in Mumbai is next to impossible. But in Mumbai, we went to Film City, which has a lake and this is where we decided to build the sets. Many people told Vinod it's a wrong decision too give a newcomer like Nitin Desai a chance to build a set worth Rs 80 lakh. We made a model of the sets and worked hard on every detail. I measured the lake when it was dry in April and May for the depth and length. Yet everyone objected to it; only Vinod had faith in me. The morning they were to decide whether the set will be made in the lake or not, I went to Vinod and asked me to give me a chance. Vinod agreed and then the work started, and we created Sadar Bazaar, Dalhousie, in Film City.